We are still in the planning phase for my son’s 6th Birthday. This year he asked for a Paw Patrol party to which I quickly agreed. 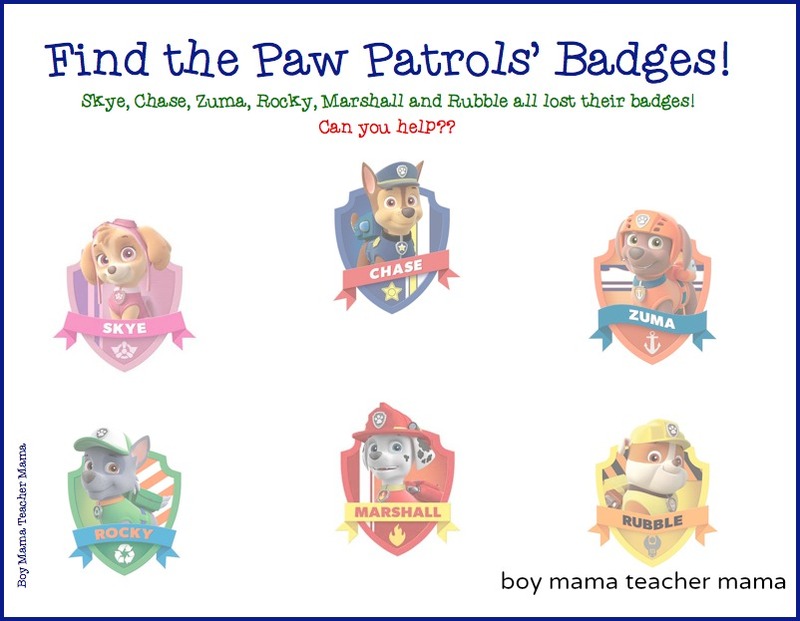 Recently, we shared our FREE Paw Patrol Printable Game Cards and today we are sharing another FREE game. Since the party is yet to happen, photos in this post are of printables only. After the party, we will be sure to post some pictures from the big event! The purpose of this game is to find all the badges and match them to the character in the show before anyone else does! Of course it doesn’t have to be a competition- either way will be fun. Print the templates on card stock. 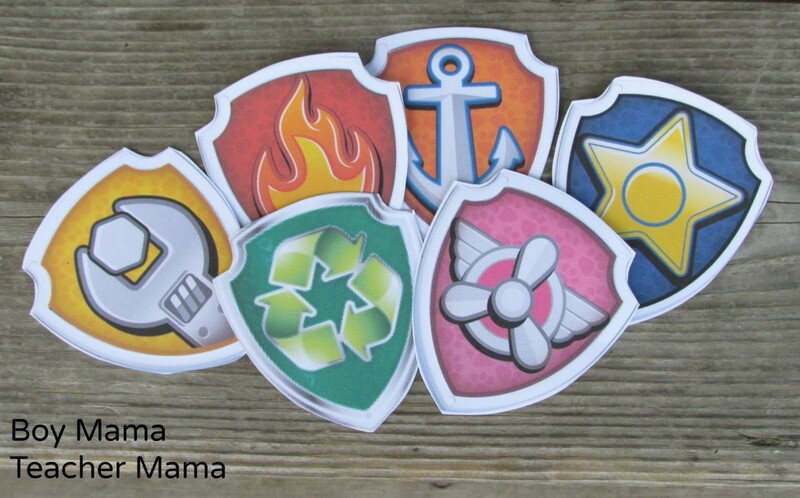 Cut out all the badges. Be sure there is one of each badge for each guest. 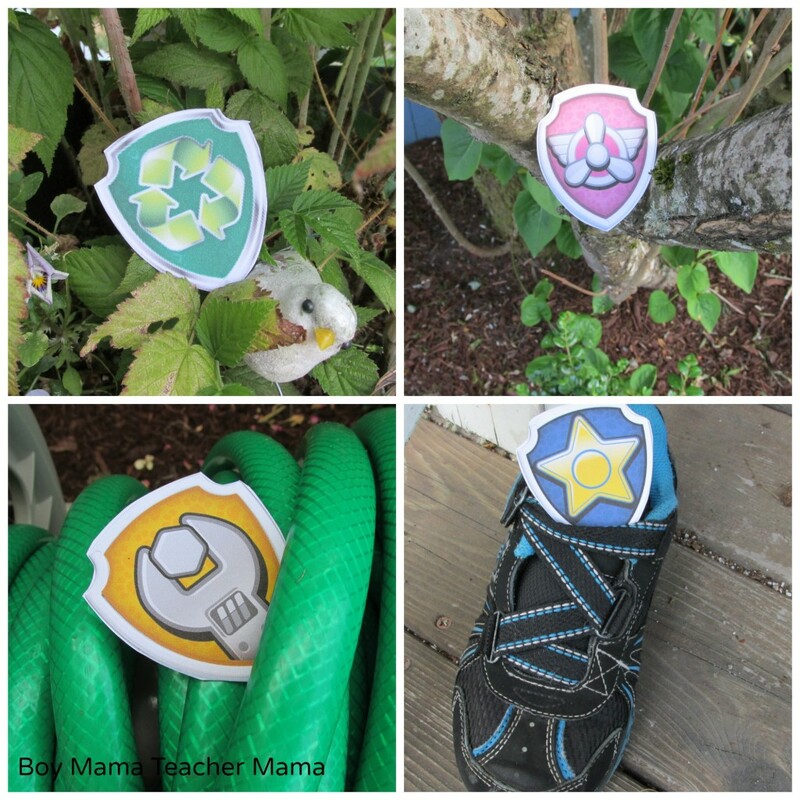 Hide the “badges” around the yard or the room. 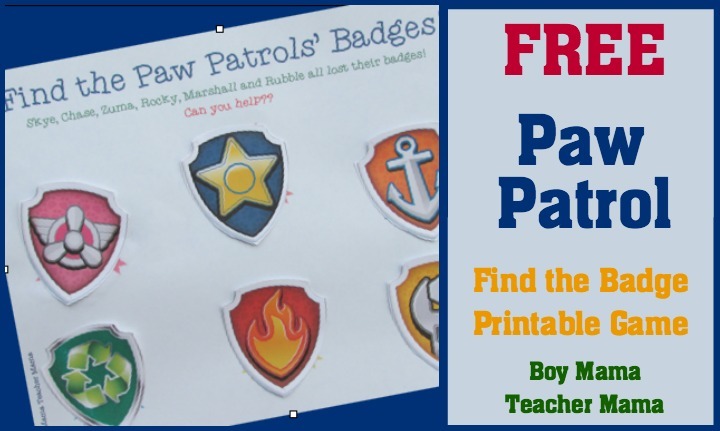 Give each child a glue stick and the “Find the Paw Patrols’ Badge” paper. On “GO!” players search for the badges. 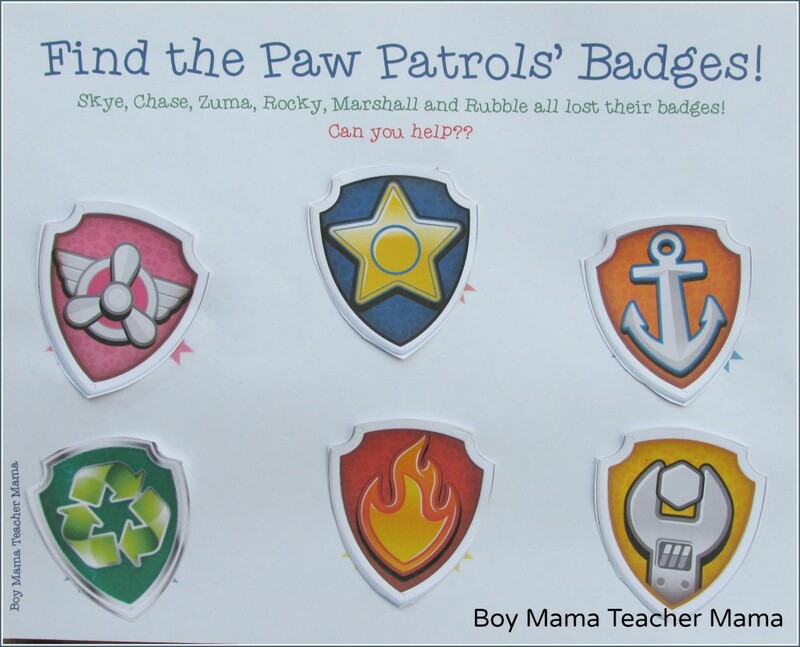 As they find each badge, they glue it to the paper. Once they have located all the badges and filled their paper, they wait until the rest of the players have done the same. At this point, a winner can be declared OR the game is simply over. Could you please email me link or templates for this? I can’t get it to do right. Hi, are you able to send me the link also? The link is in the post! Click where it says, “templates.” Enjoy! I noticed clicking on the word template where it requests users to click on the photo below allows me to access these cute documents. Thanks! can you please send me links to print. this is not working for me. Did you receive the templates? I have sent you the templates and the links. So cute! Thanks for sharing! I’m going to use these for my son’s birthday party.